Students with learning disabilities often feel socially isolated and have difficulty making friends with peers. But special needs children should not have to feel hopeless about making friends. By developing key social skills, these children can acquire just as many friends as their typical classmates. Choose not to participate in extracurricular activities as much as students without disabilities do and may have limited interests outside of school. Students with learning disabilities may feel overwhelmed by the possibility of making friends. Parents can help children overcome fears and make friends using manageable steps. Parents can expose children to several strategies to help them make friends. They can take turns role-playing with the strategies before school or before social events. When possible, parents should be close by so children can consult them for reminders. Alternatively, parents can make plans to talk with children afterward to discuss how things went. Above all else, parents should stay positive and teach children that making friends is a skill that anyone can learn with practice. Teach your child to smile in a friendly way to at least one new person every day. He doesn't have to say anything or do anything else other than smile, even in passing. If the other students do not smile back, have him simply keep moving on or look away. At the end of the day, ask him what he remembers about the students he saw. Does he know their names? Does he remember what they were wearing? The purpose of this activity is to encourage your child to recognize others, smile and observe characteristics about them. Once your child feels comfortable with smiling at new people, it is time to move to the next step. Teach your child to smile and greet others. Assure your child that she doesn't need to talk beyond saying hello unless she feels comfortable doing so. At the end of the day, have her tell you about the people she greeted. Who spoke back? Again, if others don't say hello back, your child need not do anything other than move on to another activity. When she feels comfortable, have her move to the next step. Teach your child to smile, greet others and comment. Have him smile, say hello and make a comment to at least one new person each day. Practice comments ahead of time so your child will be ready to speak appropriately. He can ask students how their day is going, comment on the weather, classroom activities or compliment their work in class or other positive statements. When your child feels comfortable with this, move on to the next step. Teach your child the art of polite questioning. Asking others polite questions about themselves is a great way for your child to learn about them and look for common interests for building friendships. Teach your child how having others talk about themselves is a good way for your child to help others feel important and valued. It also removes pressure from your child because he does not have to carry the conversation. In time, he will begin to feel more comfortable around these students and interact with others. As always, continue talking with your child in a casual way about the new friends he is meeting and what he has learned about them. Before long, your child's conversations with other students should begin to grow on their own. 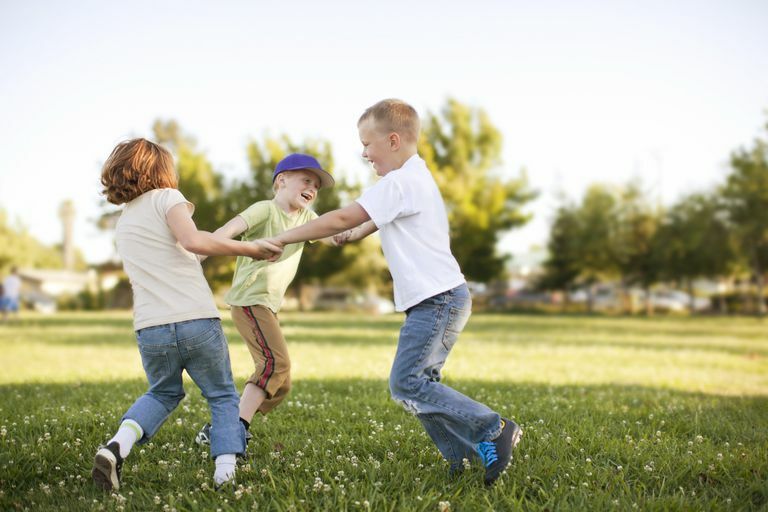 Consider having your child pick one or two friends to invite for a playdate. Check out some additional ways to further develop his friendships or to encourage shy children to participate in groups.